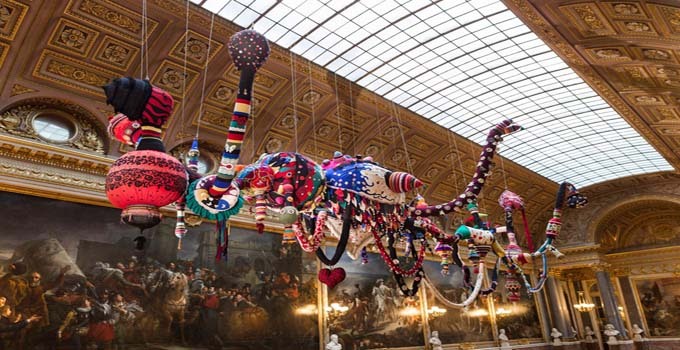 Paris born artist Joana Vasconcelos,will be the first and youngest woman to show her work in the Palace of Versailles.The artist says her work has developed around the idea that the world in an opera, and Versailles embodies the operatic and aesthetic ideal that inspires her. The 1830 Room host Lilicoptere, which is coverd in gold leaf and thousands of rhinestones. 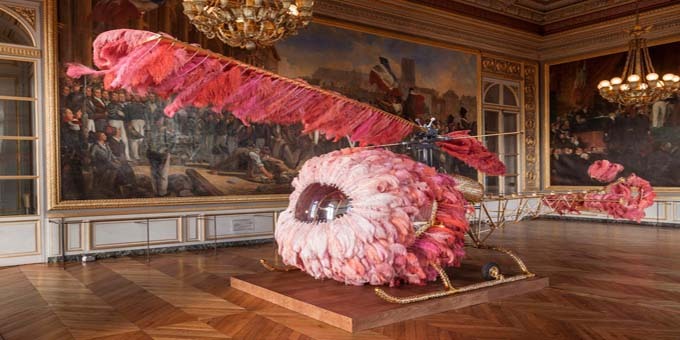 Ostrich feathers serve as the blades of the hillicopter. 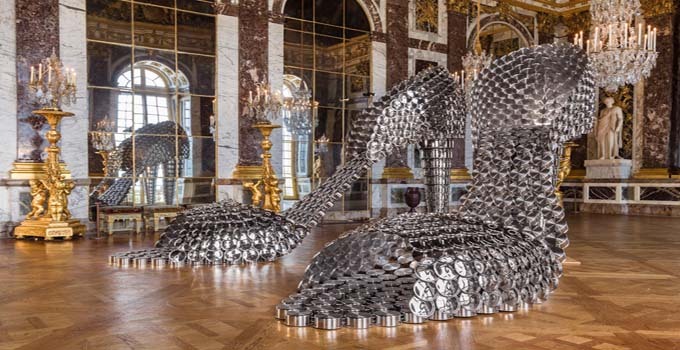 Flying over the monumental Gallery of Battles are the enormous and textile bodies of Royal Valkyrie, Golden Valkyrie, and Valkyrie Trousseau. The pieces employ traditional handcraft techniques combined with industrial made materials.